I've lived in the south of Sweden for the majority of my life and that means living very close to Denmark. I'm also part Danish and have therefor been in Denmark quite a bit, but mostly Copenhagen and Helsingør/Elsinore. So I thought I would share with you all, whether you're planning a trip to Denmark or not, ten things to do in Copenhagen. Nyhavn, the part of Copenhagen you've probably seen a thousand times on Instagram. With it's colorful, picturesque houses by the harbor it's a very popular destination during the summer. 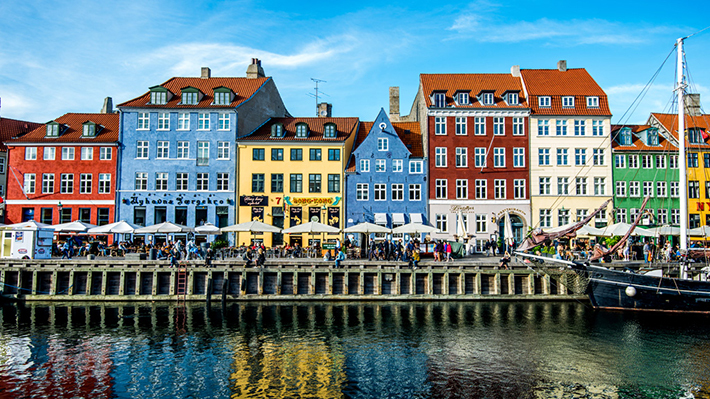 In summer Nyhavn is filled with restaurants with outdoor seatings overlooking the harbor. Nyhavn is also the beginning of most of the sightseeing boats around Copenhagen. Christiania is a wild, wild ride. It's a part of Copenhagen that lives by it's own rules and is most famous for being the "hippie" part of Copenhagen. This is a part where people with alternative lifestyles gather. The area used to be a military area but it was abandoned and in the 70s it was occupied by hippies. Christiania has an autonomy based on each individual's responsibility for his own life and home. There are no laws but only few rules in Christiania; no weapons, no violence, no heavy drugs and no buying/selling property. Cannabis is forbidden in Denmark but in Christiania it is not, therefor Christiania is a common place for selling/dealing cannabis. There's even a street, Pusher Street, when you can buy cannabis in little stalls just out in the open. I'm not a advocate for any kinds of drugs but I do find Christiania and the people living there very fascinating. 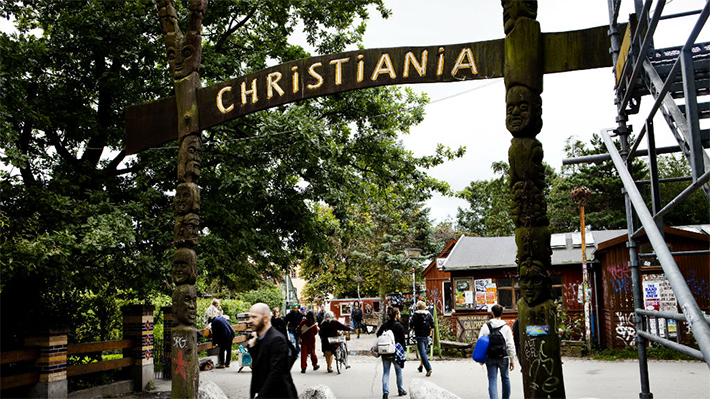 Many believe that Christiania is only a shelter for drug users, but there are at least as many people who express their joy that a sanctuary like this exists. Christiania is perceived by many people as a kind of breath in the big city. It's definitely worth a visit if you're in Copenhagen since it is one of a kind and filled with beautiful art! 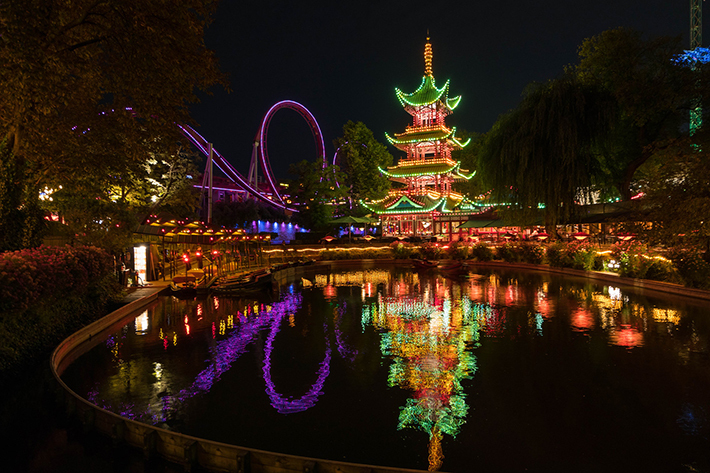 The Tivoli Gardens in Copenhagen was founded back in 1843 and is still one of the most visited places in Copenhagen. Tivoli is an amusement park in the center of Copenhagen. All the rides are designed to fit Tivoli's old style and it's all very nostalgic! It's very common to visit Tivoli at night and just have a bite to eat in there and take a walk around the park. Tivoli also transform every holiday, so if you want to get an unique visit; visit Tivoli during Christmas, Halloween or New Years. 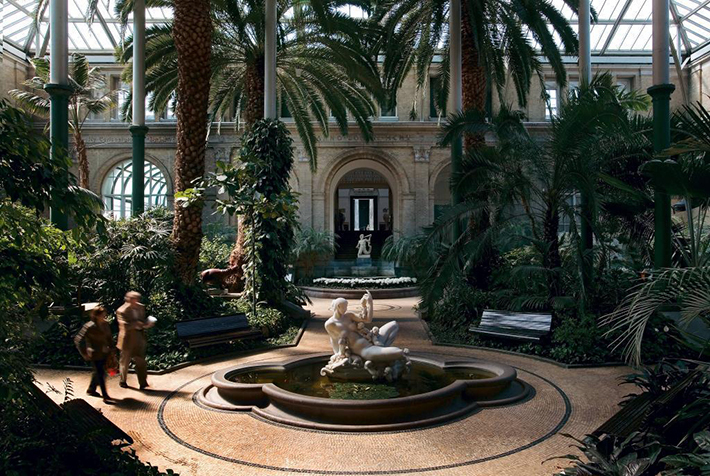 Ny Carlsberg Glyptotek or more commonly known as Glyptoteket is a very special museum. The museum has two main exhibitions; The Department of Antiquities with Egyptian, Greek, Etruscan and Roman art and The Modern Department and it also has a beautiful winter garden. It's an amazing museum to visit since the architechture is extremely beautiful! It's also free on Tuesdays or if you have the Copenhagen Card. 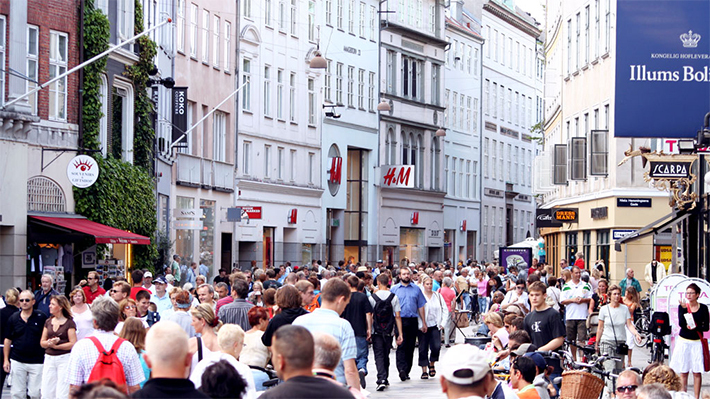 Strøget is the main shopping area of Copenhagen with both high end/luxury-stores and budget-stores. There are also plenty of cafés and restaurants in the area if you get hungry whilst doing tons of shopping! Den blå planet or The Blue Planet in English is is Northern Europe's largest aquarium and has water on all sides and it is suposed to give you the feeling of being under water. 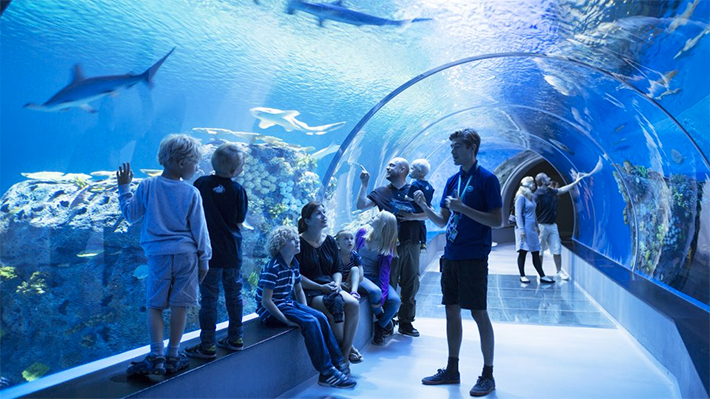 There are three big exhibitions; the ocean tank, the Amazonas and the Coral Reef. It's a bit expensive to visit but if you have the Copenhagen Card you have free entrance! The original little mermaid! Not really but still. 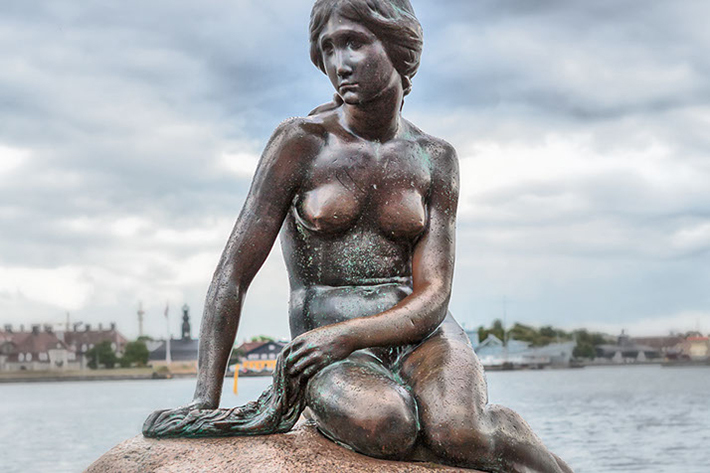 Den lille havefrue was gifted to Copenhagen about 100 years ago by Carl Jacobsen after he watched the ballet of The little mermaid by H.C. Andersen. Den lille havefrue is visited by an insane amount of tourists every year and because of this the statue has been vandalised several times; it's been painted pink and had its head decapitated amongst other things. It's worth a visit if you're nearby! As in every other city I recommend going on a city tour. There is a varaity of free tours and paid tours both by foot and by boat in Copenhagen. You can choose from historical tours, art tours and so much more. I recommend everyone to go on a tour! Denmark's National Museum in Copenhagen has exhibitions from the Stone Age, the Viking Age, the Middle Ages, the Renaissance and Modern Danish History. It is located in The Prince’s Palace, built in 1743-44, but since the palace is no longer used by the royal family it is today a museum instead. 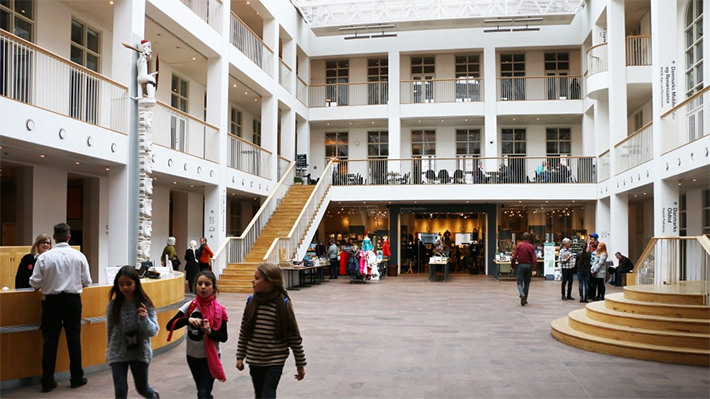 Denmark's National Museum offers self-guided tours and a Children's exhibition for the little ones! Denmark's National Museum is free for childen under 17 or for anyone with a Copenhagen Card! I'm a sucker for botanical gardens, I just love them. So of course Copenhagen Botanical Gardens had to make it to the list. 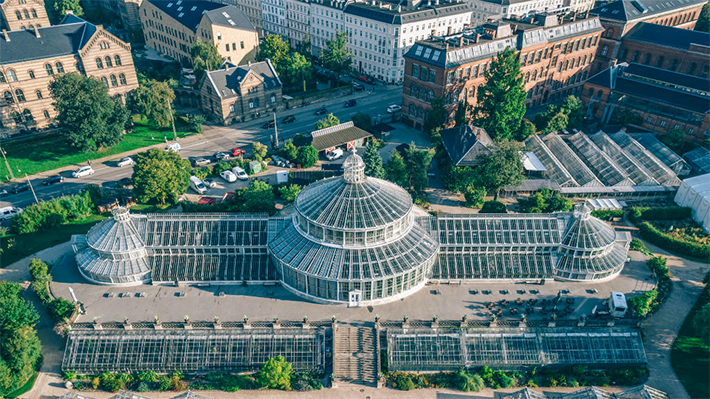 The gardens are located in the centre of Copenhagen and covers an area of 10 hectares and is particularly noted for its extensive complex of historical glasshouses from 1874. The garden has 27 glasshouses. The most notable is the old Palm House from 1874 that is 16 metres tall and has narrow, cast-iron spiral stairs leading to a passageway at the top. There is no entrance fee to visit the gardens so it's definitely worth a visit!